Nestled in the lower Verde River basin, the 21,099-acre park is a desert jewel in the northeast Valley. Elevations in the park rise to 3,000 feet along the western boundary at the base of the McDowell Mountains. Visitors enjoy a full program schedule, over 50 miles of multiuse trails, and spectacular views of the surrounding mountain ranges. A stroll through the park will allow visitors to likely see deer, javelina, birds, and coyotes. Trailhead Group Area - For groups larger than 30 RV units. 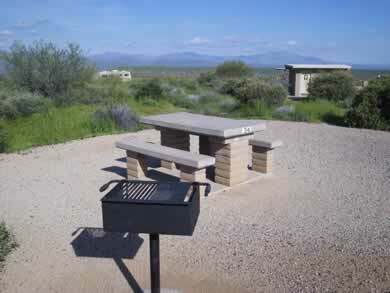 2 large covered ramadas, each with 4 picnic tables and large barbecue grill. A large fire ring is centrally located between the 2 ramadas for group gatherings. This area is ideal for overnight camping groups with horses or mules. Youth Group Area - For Boy Scouts, Girl Scouts, and other youth groups. Large parking area with port-a-jons, water, picnic tables, flagpole, and large fire ring. 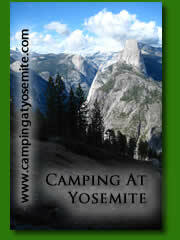 This area is ideal for overnight scout camping trips. NOTE: The Dixie Mine Trail is closed until further notice due to construction in Fountain Hills; updates will be posted on this website as they become available.